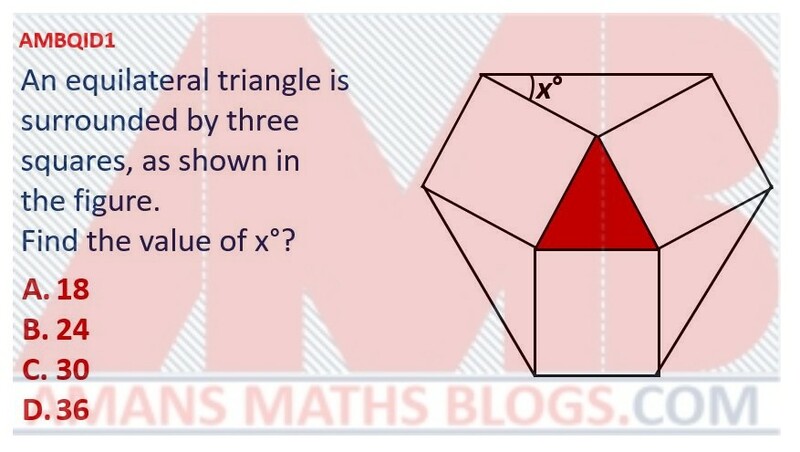 An equilateral triangle is surrounded by three squares as shown in the figure. 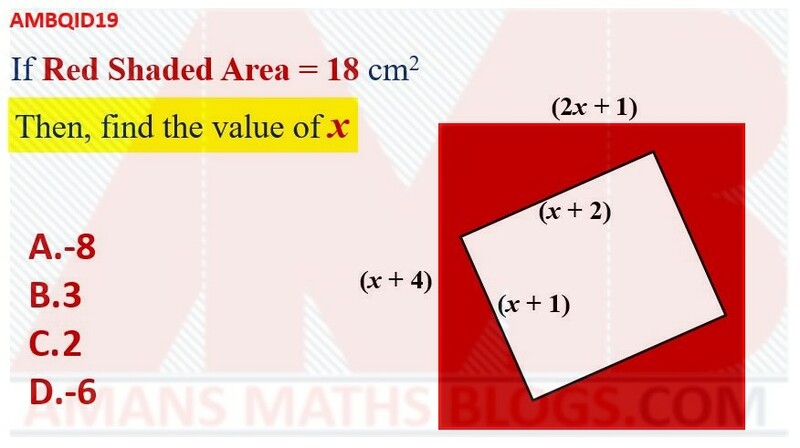 Find the value of x? 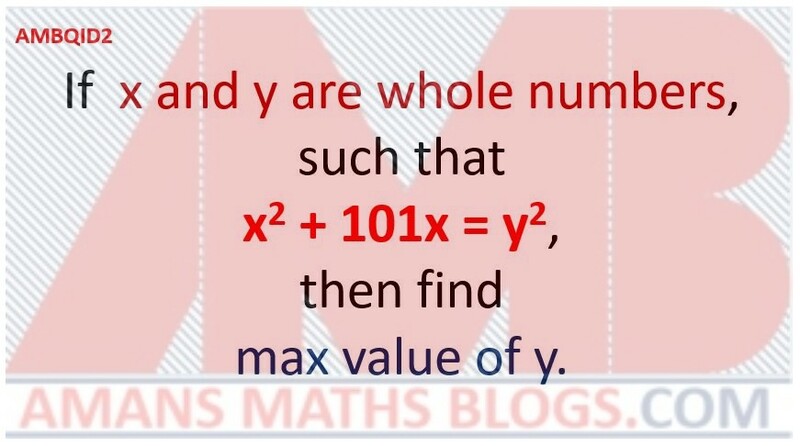 If x and y are whole numbers such that x2 + 101x = y2, then find the maximum value of y. 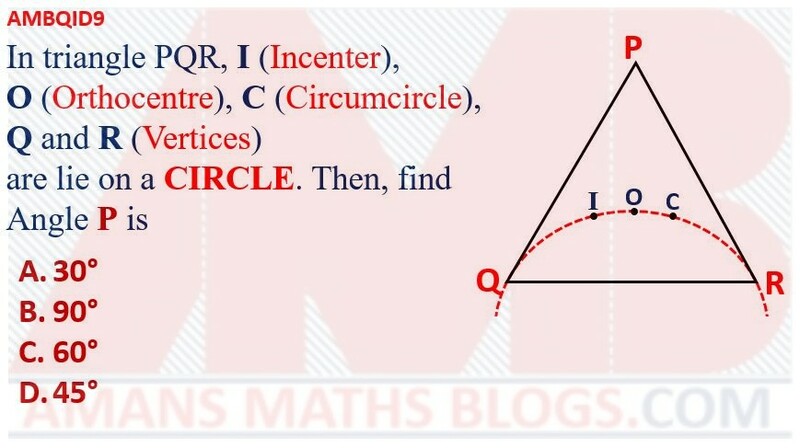 In circle, C is the center. 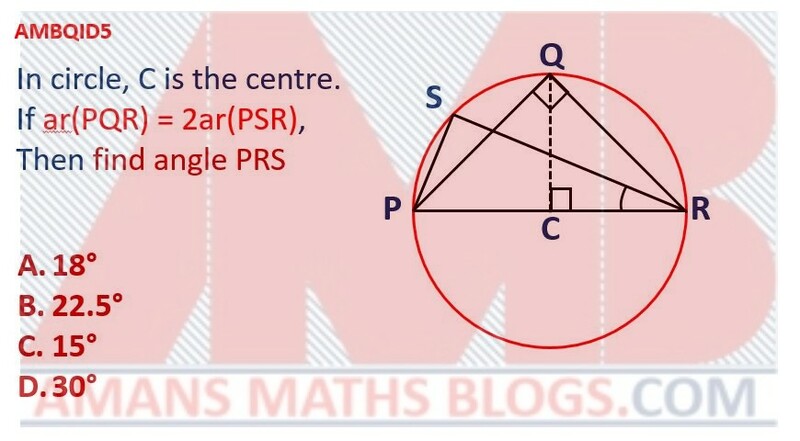 If ar(PQR) = 2ar(PSR), then find the angle PRS. 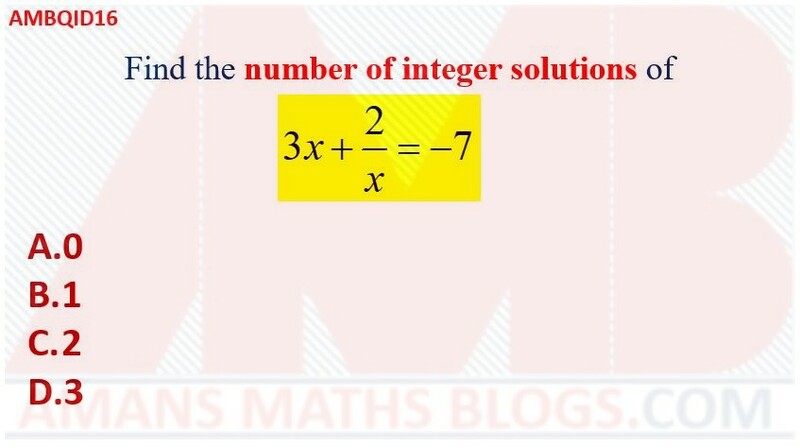 In a square ABCD, P, Q, R, S are id-points of sides as shown. 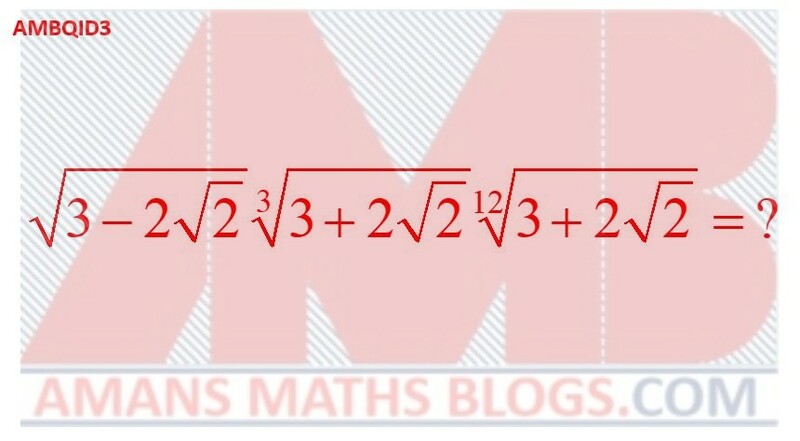 If ar(ABCD) = 1 sq. 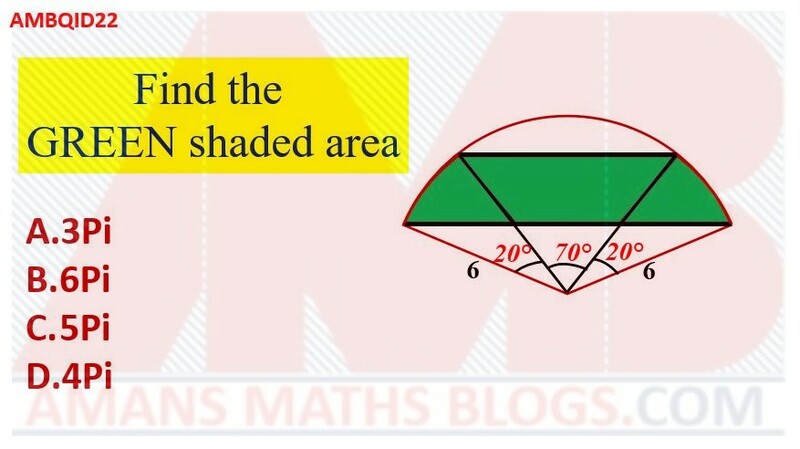 unit, then find shaded green area. 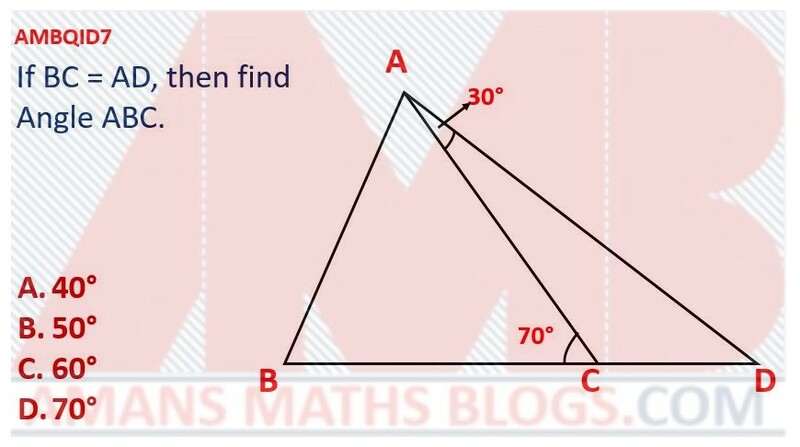 In the figure, the angle ACB = 70 degree and the angle CAD = 30 degree. 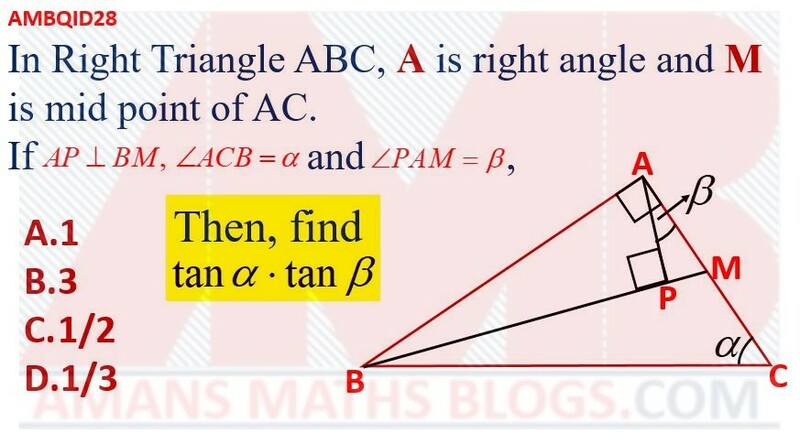 If BC = AD, then find the angle ABC. 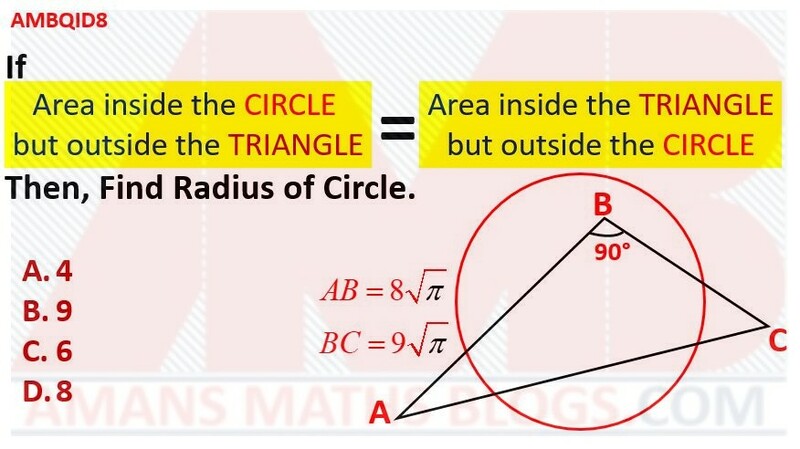 In the figure, if the area inside the circle but outside the triangle is equal to the area inside the triangle but outside the circle, then find the radius of the circle. 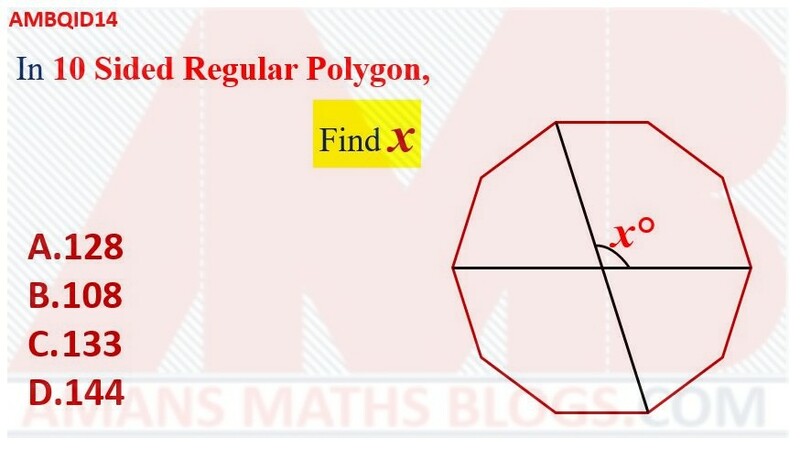 In triangle PQR, I (Incenter), O (Orthocenter), C (Circumcenter), Q and R (Vertices) are lie on a circle, then find the angle P.
If 4x = 9 and 9y = 256, then find the value of xy. 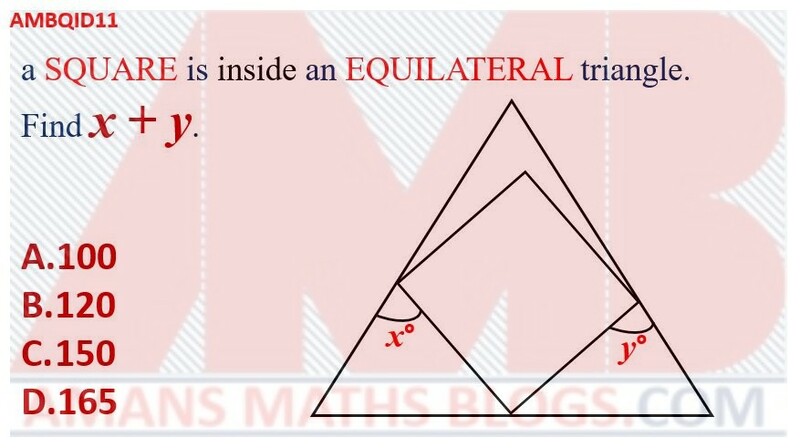 A square is inside an equilateral triangle. 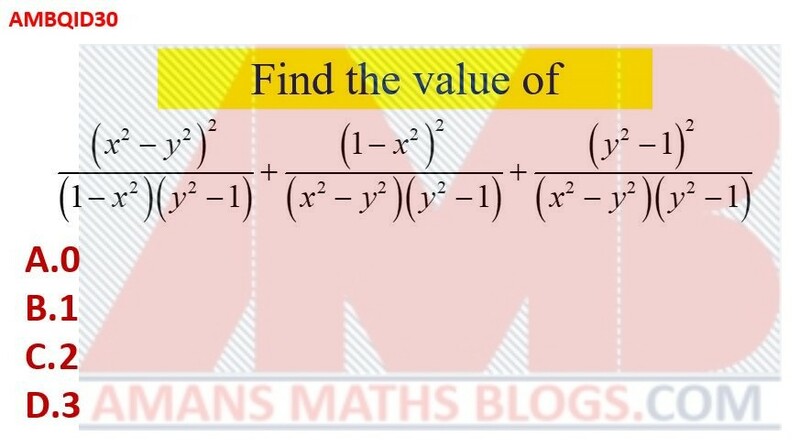 Find the value of (x + y). 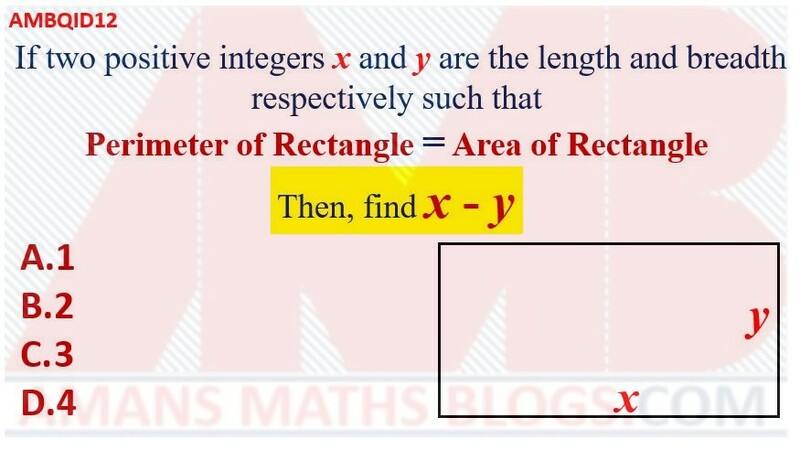 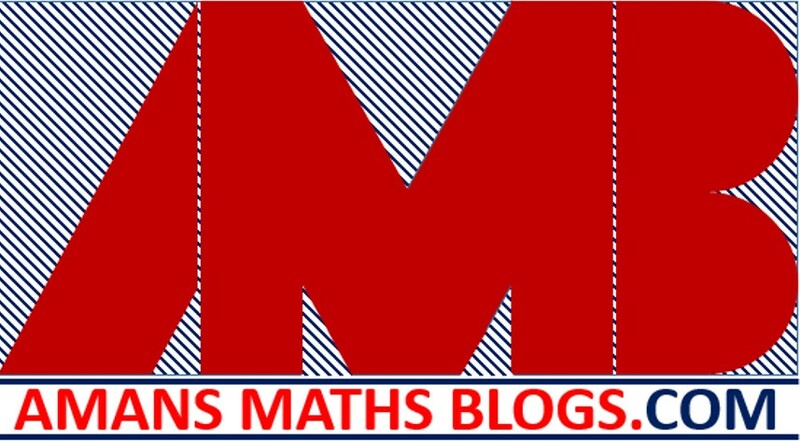 If two positive integers x and y are the length and breadth of a rectangle respectively such that the perimeter of rectangle is equal to the area of rectangle, then find the value of (x – y). 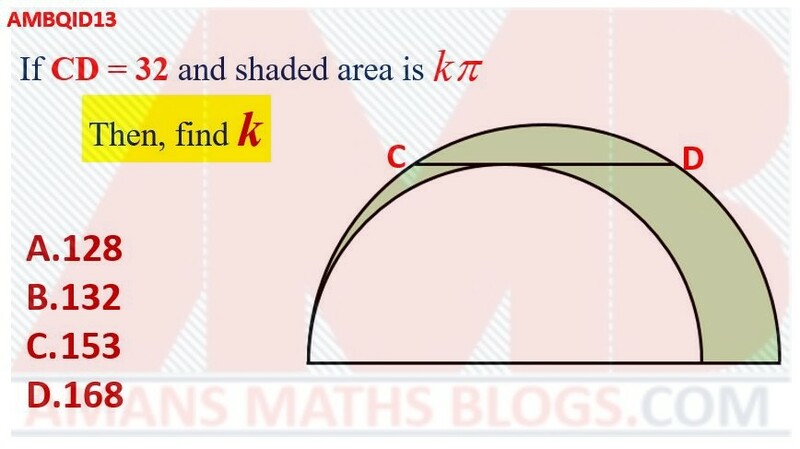 In the figure, if CD = 32 and the shaded area is k(PI), then find the value of k.
In 10 sided regular polygon, find the value of x. 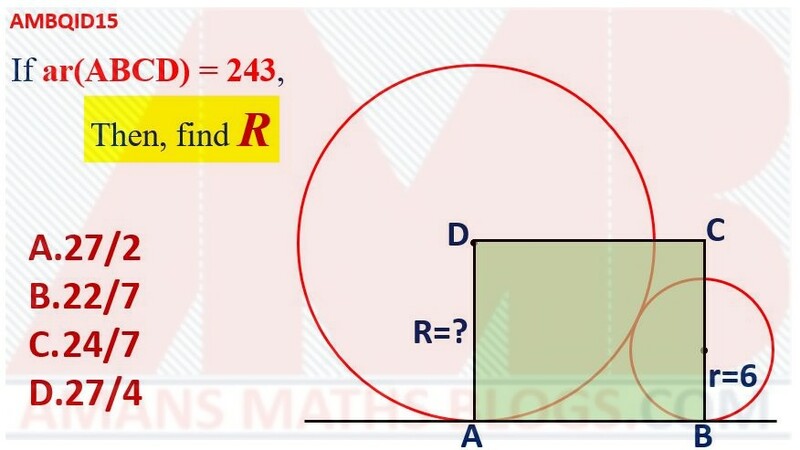 If ar(ABCD) = 243, then find the value of R.
An equilateral triangle is inside a regular octagon. 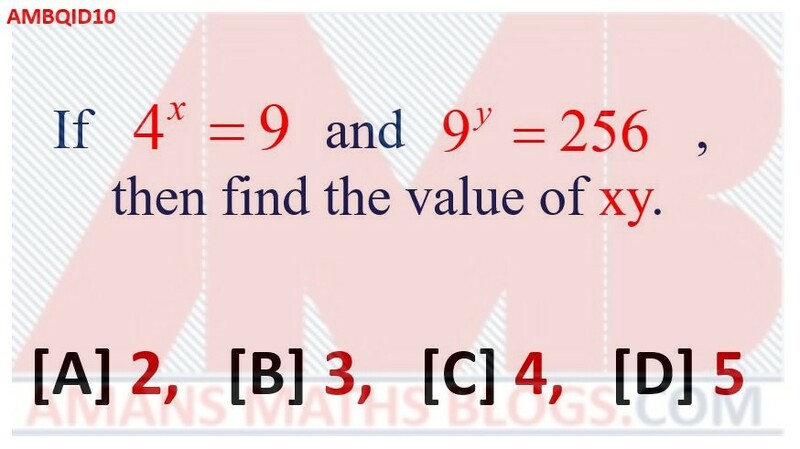 Then, find the value of x. 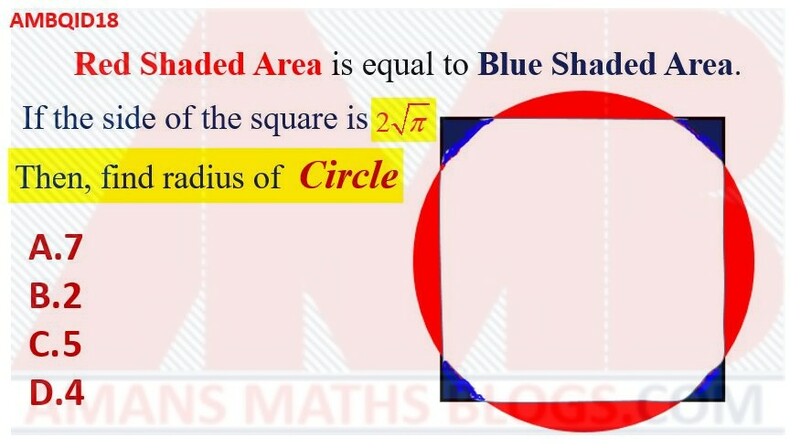 In the given figure, the red shaded area is equal to the blue shaded area. 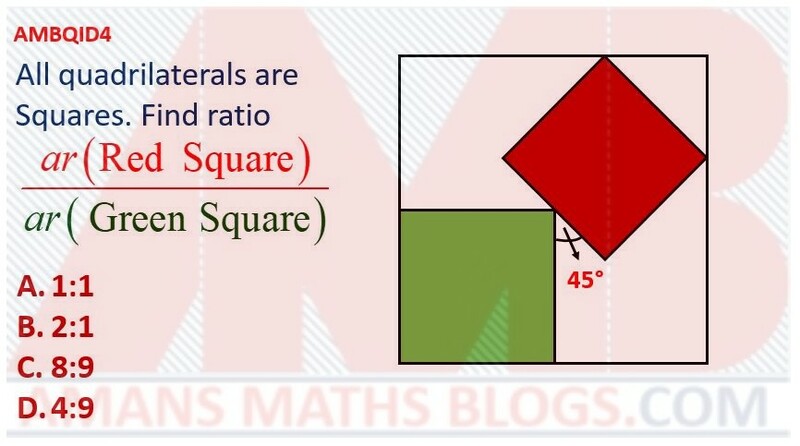 If the side of the square is , then find the radius of the circle. 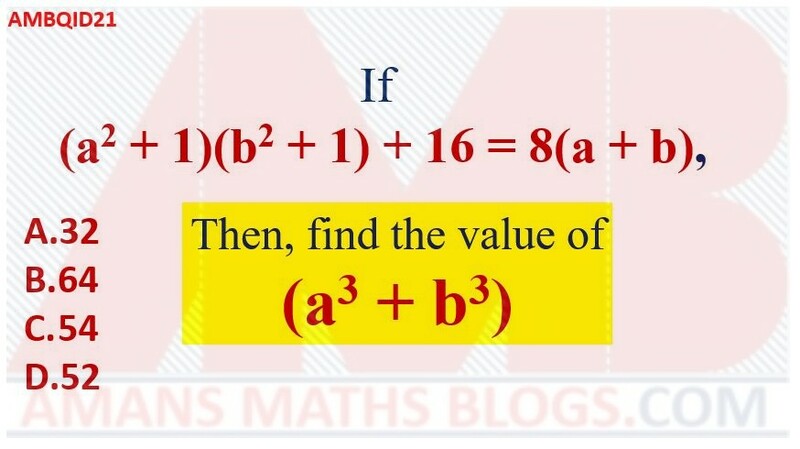 If (a2 + 1)(b2 + 1) + 16 = 8(a + b), then find the value of (a3 + b3). 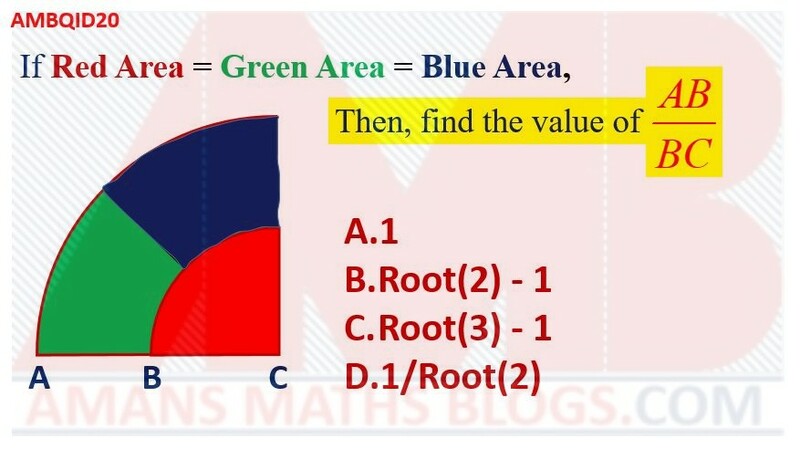 In the given figure, find the green shaded area. 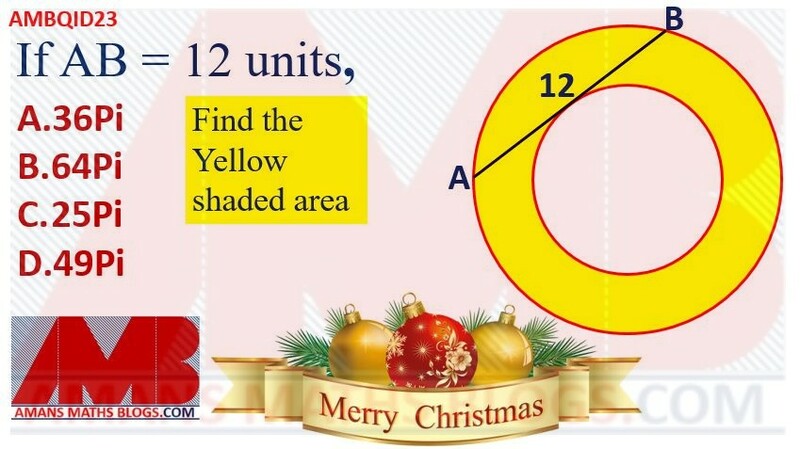 If AB = 12 Units, then find the yellow shaded area. 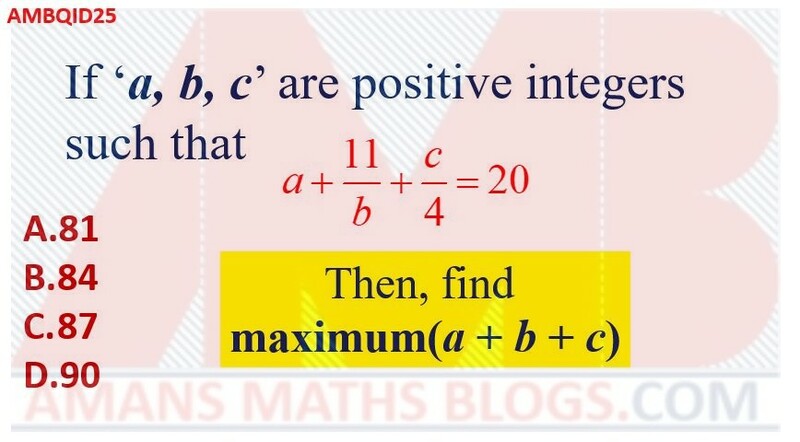 If a, b, c are the positive integers such that a + 11/b + c/4 = 20, then find the maximum (a + b + c). 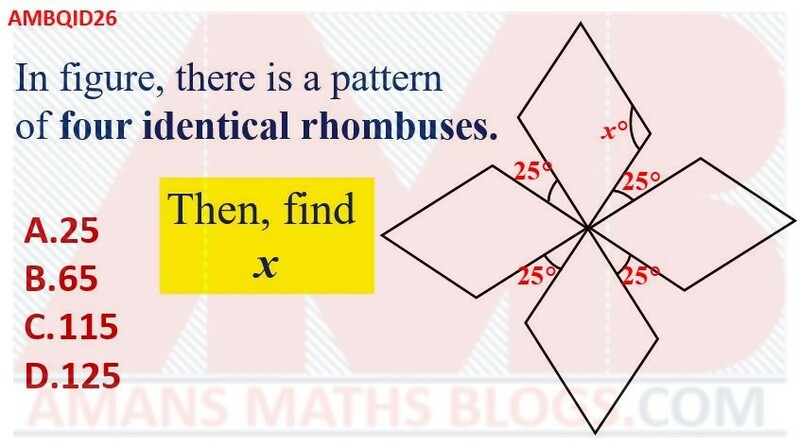 In the given figure, there is a pattern of four identical rhombuses. 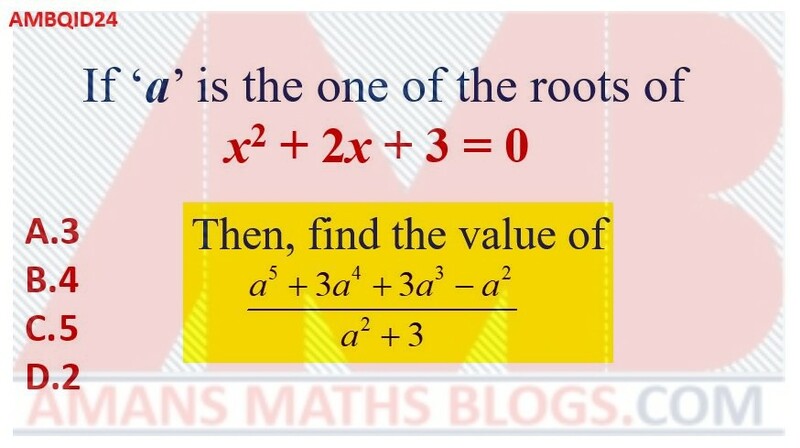 Then, find the value of x. 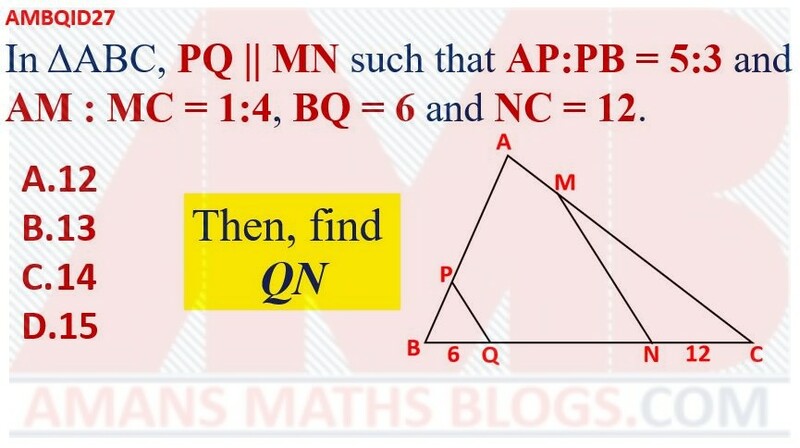 In the triangle ABC, PQ || MN such that AP : PB = 5:3 and AM:MC = 1:4, BQ = 6 and NC = 12. 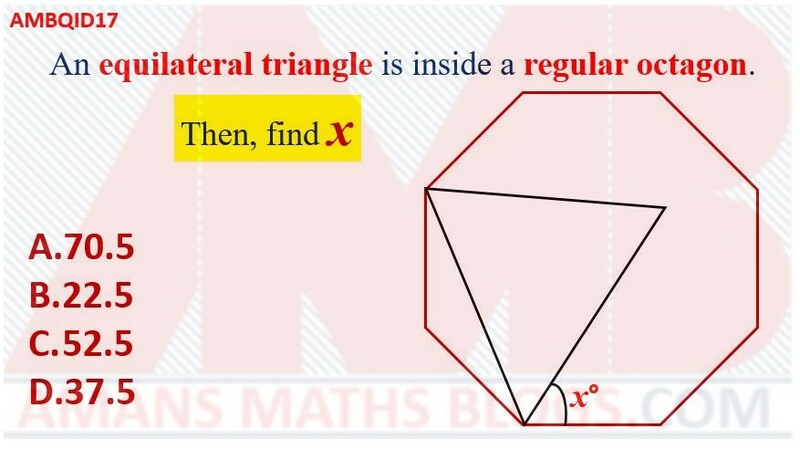 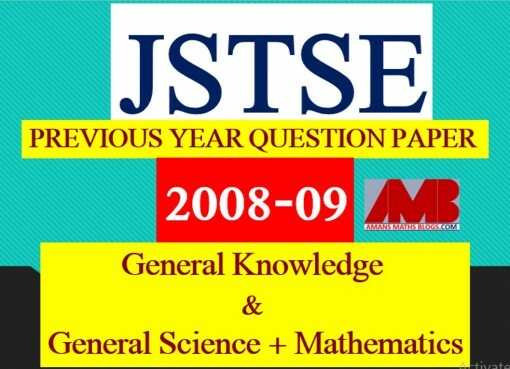 Then find QN. 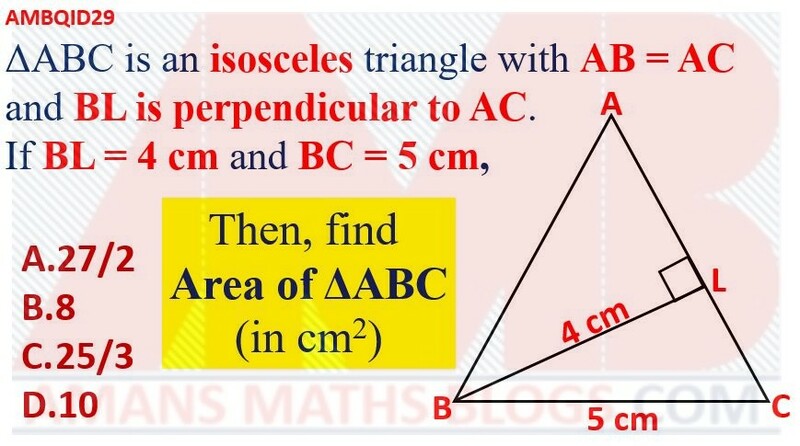 In the given figure, the triangle ABC is an isosceles triangle with AB = AC and BL is perpendicular to AC. 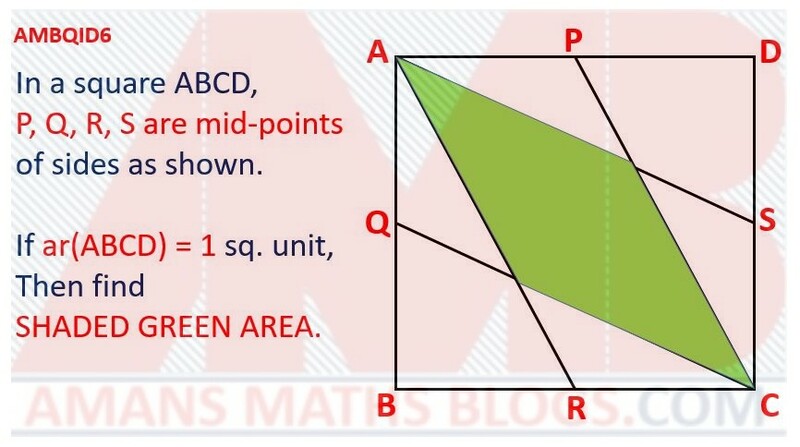 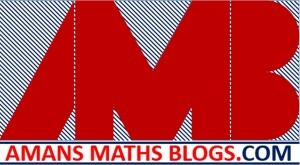 If BL = 4 cm and BC = 5 cm, then find the value of area of the triangle ABC (in cm2).